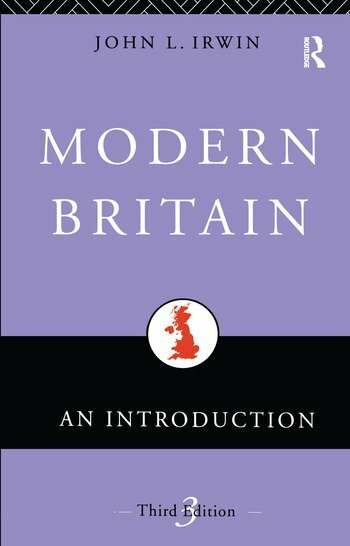 Since first publication in 1976, Modern Britain has been widely used as a comprehensive and straightforward introduction to some of the most important features of British life today. The author provides a clear account of a wide range of topics that are keys to understanding the British culture including the system of government, the structure of education, the social services, family life and the mass media. This third edition has been fully revised to take account of important developments and current debates, such as whether the monarchy has become too expensive, the role of the poll tax in Margaret Thatcher's downfall, and the Church of England's decision to ordain women priests. While writing this book John Irwin has been particularly conscious of the needs of foreign students, but Modern Britain will be equally useful to school students in Britain and, indeed, to anyone with an interest in knowing how modern British institutions developed and how they work today.